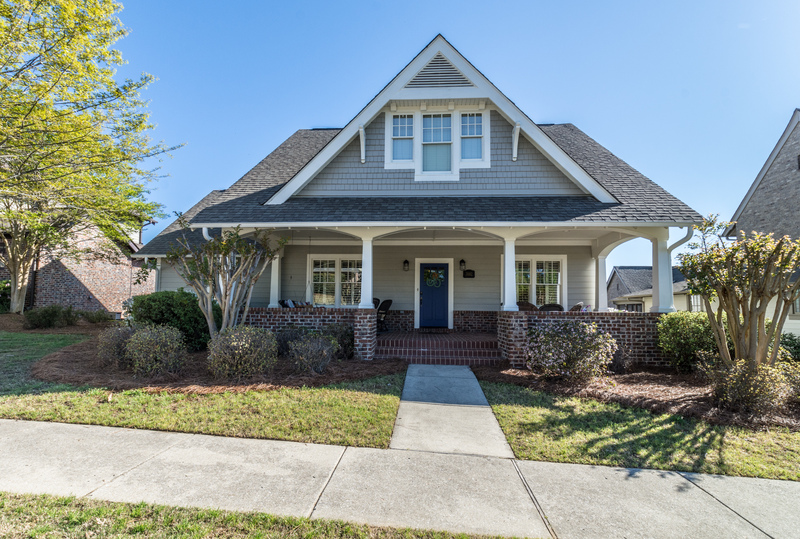 Charming 5BR, 3BA home in Ross Bridge. New HVACs (2018 & 2019), freshly painted inside & out (2017 & 2018), all light fixtures updated 2017. Relaxing front porch & inviting foyer, large living room and dining room. Open kitchen features stainless steel appliances, granite countertops, subway tile backsplash & island w/wrap-around bar, sink & dishwasher. Kitchen is open to keeping room & breakfast room. Fireplace w/gas logs & wiring for flatscreen above in keeping room. 2nd fireplace w/gas logs in living room. Main-level master suite w/2 walk-in closets & bath w/double vanity, jetted tub, separate shower, & private WC. Main level has 2 more BRs, 2nd full BA, & laundry room. Upstairs has 2BRs, full BA & playroom/children’s den. All BRs have walk-in closets w/3 extra walk-in closets on main. Also has 2-car garage w/storage, covered patio off breakfast room & fenced yard. Community pools, clubhouses, playgrounds, green space, restaurants & shops all within the community. Don’t miss it!